I’ve been a knife enthusiast since I was a young teenager -(a long long time ago)- and had many types and sizes over the years. My Son brought me a Balisong on one of his travels, but I’m having trouble playing it due to old fingers !? Anyway, a friend told me about his ‘Bowie’ knife. 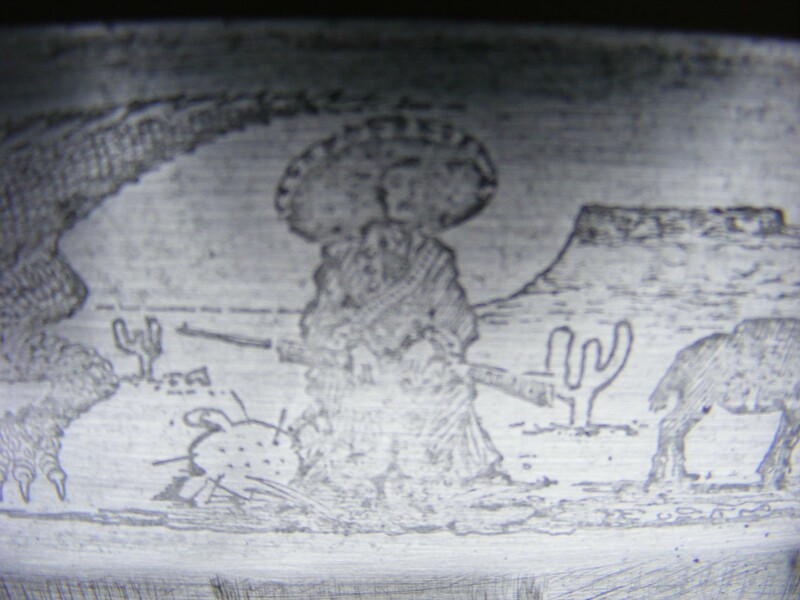 He told me about the ‘Mexican’ engraving on the blade, which made me wonder about its origin. I said I’d look into it if he wanted, and he dropped it round. 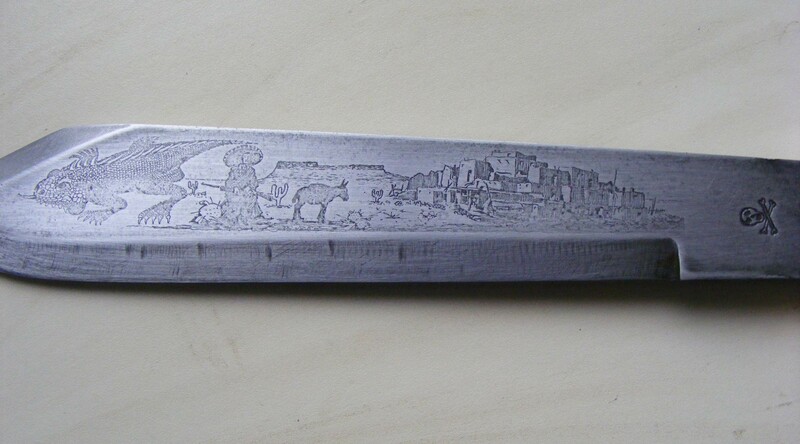 It’s a hefty thing, about 15½” (blade 10¼” + handle 5”) with engraving on one side. 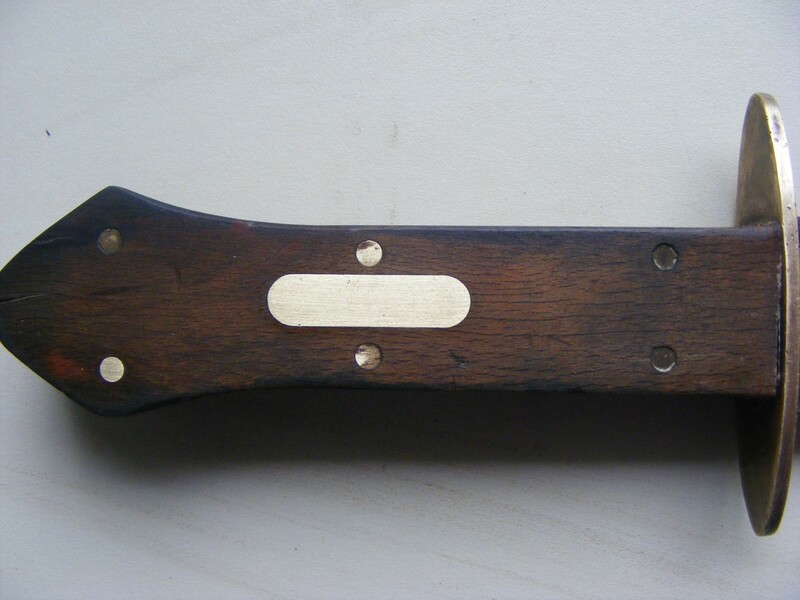 It has a wooden handle with brass rivets (quite loose) & an inserted brass plate, with no engraving. I’m guessing it isn’t the original, but would love to be proved wrong. 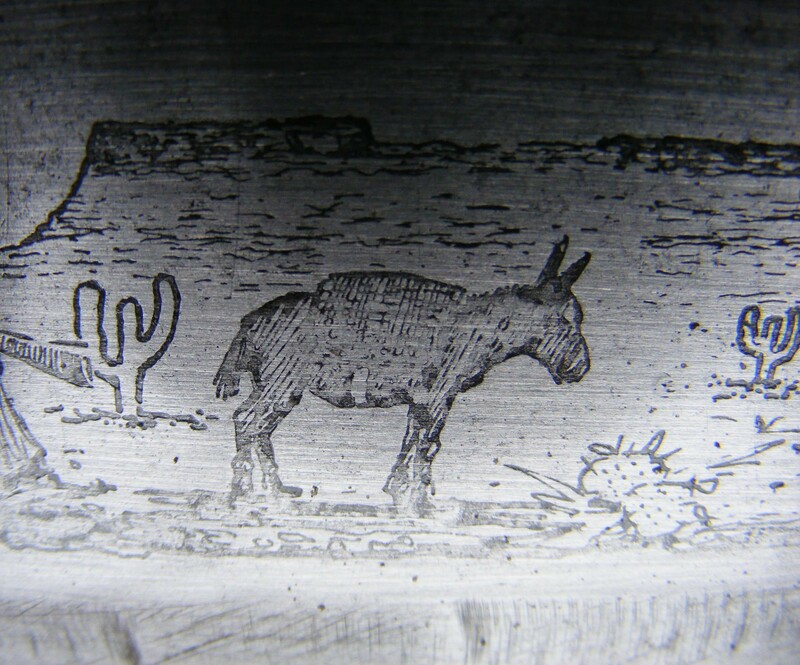 Images: from the tip; Gila > Mexican type fella > Burro > flat top mountain (machu picchu ? My Son brought me a pebble from there) > Townscape, and right at the top, scull & crossbones. There are tons of balisong tutorial videos on youtube. From simple openings to all kinds of advanced aerials, etc. I highly recommend checking those out if you want to get better at flipping. My images are now 2/3 posts down. Last edited by furkin on Fri Nov 03, 2017 9:57 am, edited 1 time in total. I didn't realise that P.B started to charge. Last 5 pics. didn't come up. Did you mean the first lot ? They were done by Photobucket. They were fine when I uploaded 'em, but then turned into a dial meter - obviously P.B now charge and I hadn't paid, so I deleted them. The ones done today (03/11/17) should be o.k. they show up in my Preview,,,,, but did take a little while. If you mean these, maybe they are being processed. Otherwise I have no idea i'm afraid - maybe someone on here will help. I think these type of knives are from the 70s possibly mexican tourist pieces or made in the US as a series . Strangely i found 2 for sale here in the UK but no information as to where they are from or history. 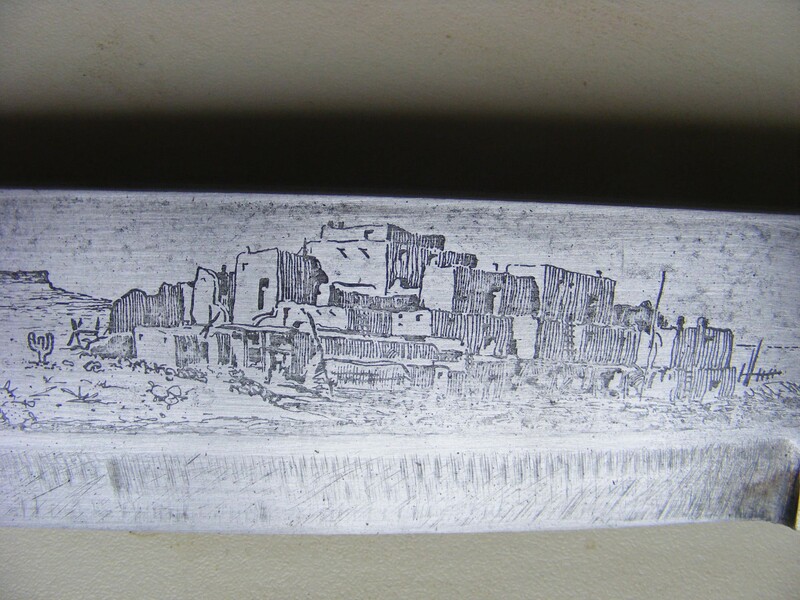 A freind of mine when we were kids had q wells fargo etched bowie almost the same as yours in 1975 ,good quality and nice blade but i doubt being any older than the 1950s _1960s. Here are the 2 skull and crossbone examples,plus a 1950s mexican with similar bladeshape. Hope you find out more nice knife i would like it. 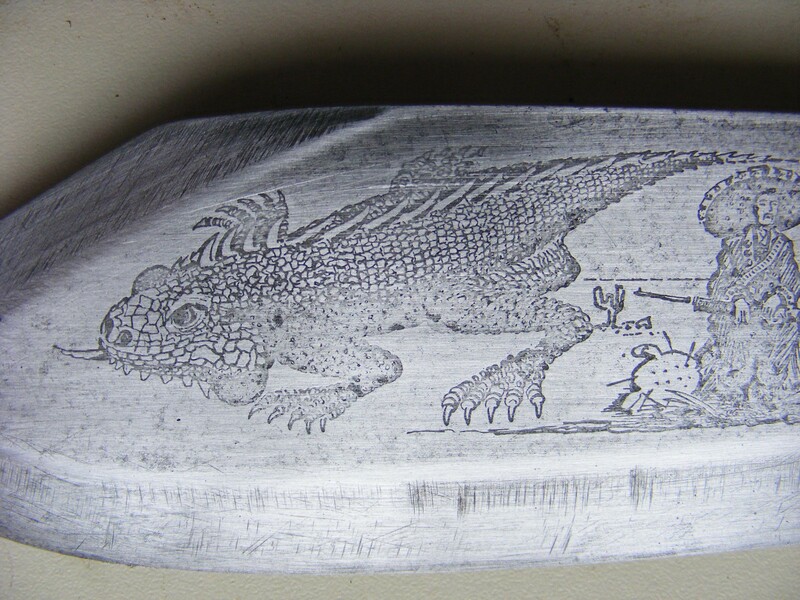 Yep - that's identical - apart from the etching. This one is a mates, but i'd like to get something like it for myself - anyone out there selling one ?? Thanks also for the history lesson,,,, it's something I can pass on to him.